II have loved animals all my love and feel a connection to dogs in particular. I have been training dogs professional for 15 years and have been active in the rescue/shelter world for just as long. My job is to teach people how to work with their dogs and teach them "dog languange." On the flip side, I become the student when I attend workshops and seminars and continue to learn as the field of animal behaior continues to evolve. 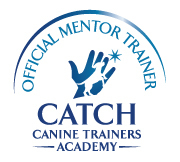 I teach owners how to work with their dogs in a positive, fear-free environment and enhance the bond with their dog through consistent feedback and reinforcement. 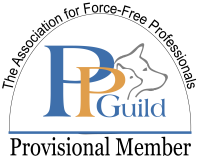 Professionally, I am a member of Force Free Trainers of Wisconsin and the Pet Professional Guild, an AKC STAR Puppy and Canine Good Citizen evaluator and a training instructor for the Animal Behavior College and CATCH Canine Trainers Academy and have mentored several new trainers. I am also a Dog Gone Safe presenter and love to teach people, especially children, how to be safe around dogs. 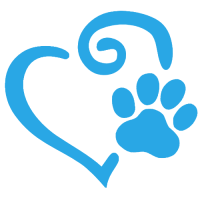 I am a staunch advocate for the humane treatment of all animals and consult with many rescues and shelters in Wisconsin. I served on the administrative rules committee for Act 90, the Wisconsin Dog Seller's Law, during 2010-2012. I am the former Animal Care Manager/Operations Manager at Elmbrook Humane Society in Brookfield and the former director of the Dodge County Humane Society where I oversaw the construction new building. After almost 20 years, I recently retired from Green Acres Boxer Rescue of WI. When not working with dogs, I enjoy reading books and attending seminars to advance my training skills and animal knowledge. I enjoy being outside and gardening. I am owned by one Boxer, a sassy 2-year old female named Isabella. I have many more furry friends waiting for me at the Rainbow Bridge.